If you have questions about Spokane garage doors, we are here to help! Feel free to explore these FAQs about common problems with garage doors. Don’t see your questions answered here? Call us any time! First, check to see if the red light is blinking on the wall button. This could mean that someone pushed the lock button. This is easy to fix by pushing and holding the lock button for 3-5 seconds and then releasing it. If your wall button does not have a lock button, the blinking red light probably means your remote needs to be reprogrammed. If reprogramming the remote doesn’t work, call Precision Garage Door of Spokane for further assistance. Lift master: find the “learn” button on the back or side of the opener and push it like a doorbell. Then push the button on the remote you wish to program to the opener. You should hear a click, and if there is a light bulb in the opener, it will flash. Yes, we can. Precision Garage Door of Spokane offers ultra-quiet garage door openers and super quiet ball-bearing rollers. One visit from us and you will have the quietest garage door in the neighborhood. Yes. You can adjust the opener to exert more force on the door. The greater the force setting, the harder the opener will push or pull the door. Never adjust the opener to a higher force if your door is unbalanced or sticking, and test the safety reverse system after adjusting the opener. 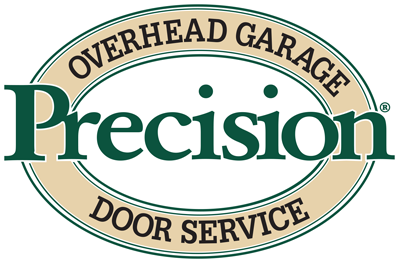 If the door is hard to lift, call Precision Garage Door of Spokane to adjust the door. First, verify the opener is plugged into the electric outlet. Next, confirm there is power coming out of the outlet by plugging the opener into another outlet with an extension cord. If the outlets are not the problem, then there is a mechanical or electrical problem within the garage door opener. Call us for a qualified technicianto diagnose the problem.